New Weight Loss Product – MIC Injections – Offered at Integrative Medicine of New Jersey! If you have ever struggled with losing weight, attempting numerous fad diets, yo-yoing up and down, and not getting the results you expected…take heart! Integrative Medicine of New Jersey now introduces a technologically advanced weight loss product. Backed by clinical science, and when administered in accordance with a healthy diet and routine exercise Methionine Inositol Choline (MIC) Injections really work! This formula consists of a blend of lipotropic, i.e. fat mobilizing amino acids, which are capable of: enhancing liver function by assisting in the metabolism of fat cells; aiding in the prevention of cholesterol buildup; and helping to remove debilitating toxins from your liver and reversing fatty liver changes. L-methionine is an amino acid, inositol and choline are cofactors, and together they aid in the elimination of abnormal fat cell deposits. 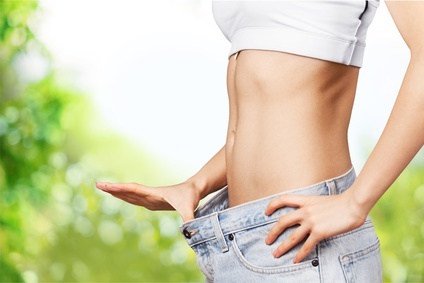 Additional research shows that when these lipotropic agents are further combined with vitamin B-12 and carnitine, the synergy created provides exceptional fat burning throughout the entire body. Methionine Inositol Choline (MIC) Injections, also referred to as Lipo Injections, are used to help release fat throughout the body by specifically targeting its primary fatty deposits, namely the stomach, inner thighs, neck, buttocks, hips, and underarms. Lipotropic, or fat burning substances include: inositol, which helps the liver remove fat; choline, which distributes cholesterol and prevents it from getting deposited in one part of the body; and methionine, which is similar to inositol, but also amplifies the combination. Injections can be administered up to twice a week. The amino acids that are injected into the body stimulate the liver into optimizing the process of metabolism. These injections boost the body’s metabolic power by providing a highly effective temporary increase of normal metabolic functions. As soon as the effect of these substances wears off, the body begins to gradually return to its normal metabolic rate. When administered in combination with a healthy diet and regular exercise, lipotropic formulas can help your body to rid itself of fat. Where can I buy Lipo Injections? Lipo Injections can only be obtained with a prescription from a licensed physician. Our injections are compounded strictly for Integrative Medicine of New Jersey. If you’re ready to get rid of that stubborn fat, give your body what it’s craving: lipo nutrients. The human body is equipped with what it needs to burn fat efficiently, it just needs help to optimize hormones and enzymes to get back to work so you can get your life back! Lip injections are not contraindicated in people with cardiovascular conditions and high blood pressure.